Source Citation Essex County Court Archives, vol. 1, no. 137, Massachusetts Supreme Judicial Court, Judicial Archives, on deposit James Duncan Phillips Library, Peabody Essex Museum, Salem, MA. Levin's What Happened in Salem? (1960) pp. 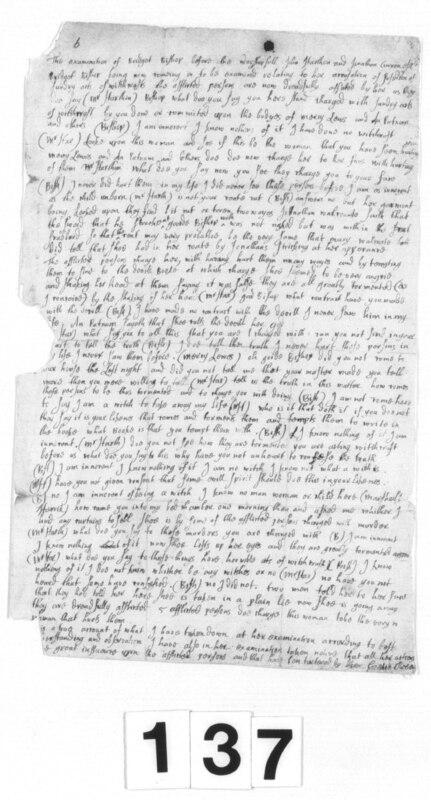 21-23: Examination of Bridget Bishop [19 April 1692]. pp. 23-24: William Stacey v. Bridget Bishop.